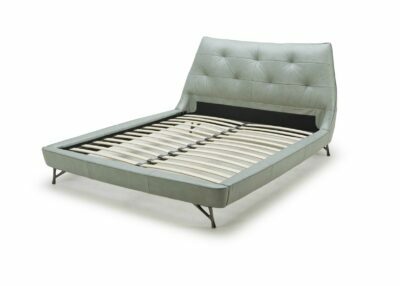 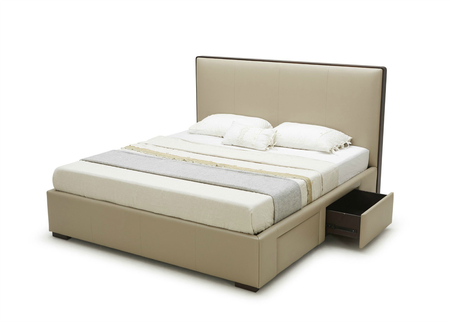 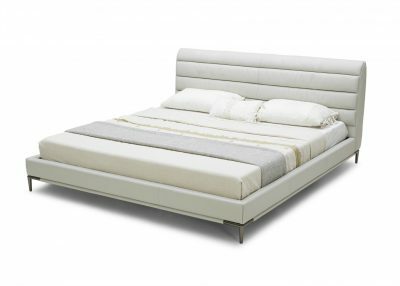 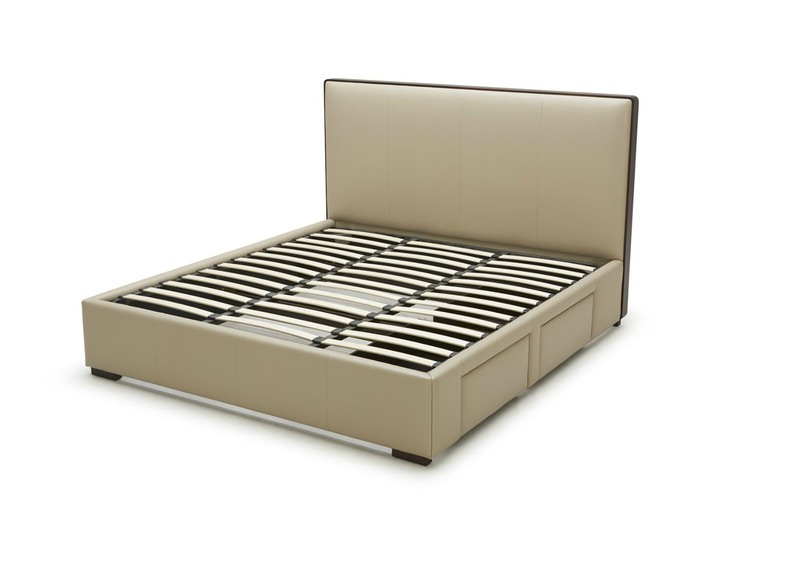 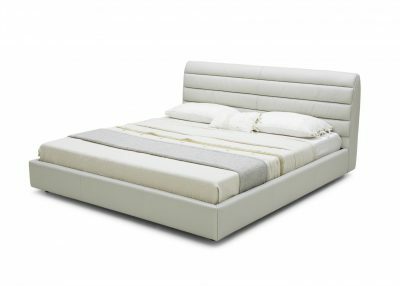 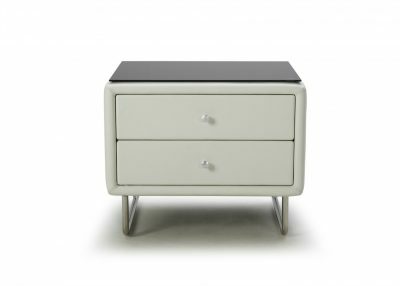 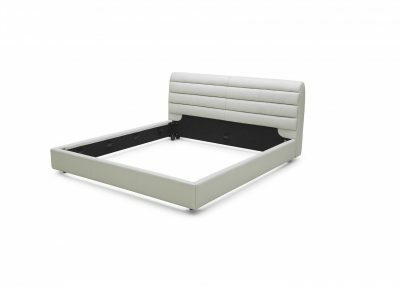 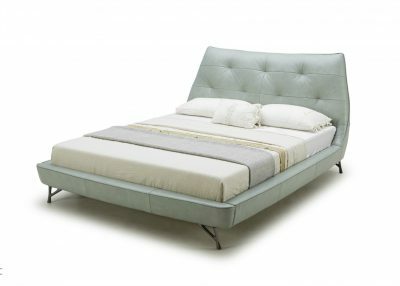 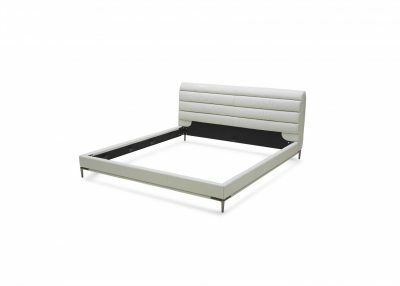 A sleek and contemporary fully upholstered bed with wooden frame around the head board. 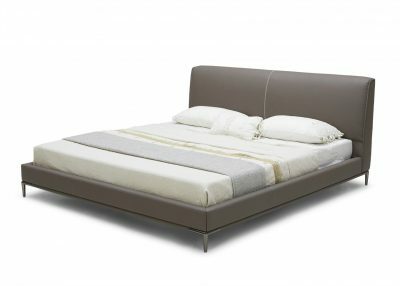 Clad in light brown leather the padded headboard is detailed with a wooden edge band instead of a regular frame. 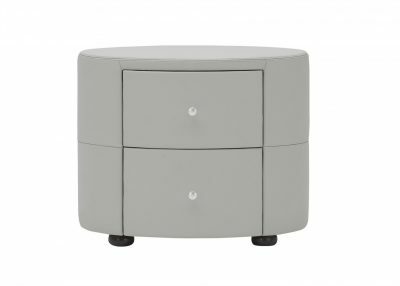 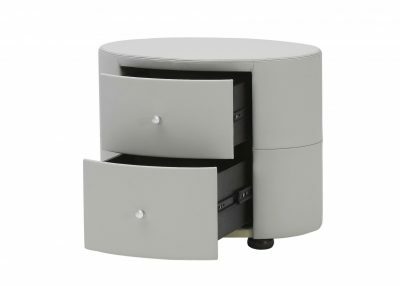 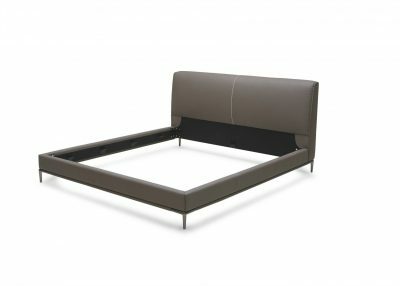 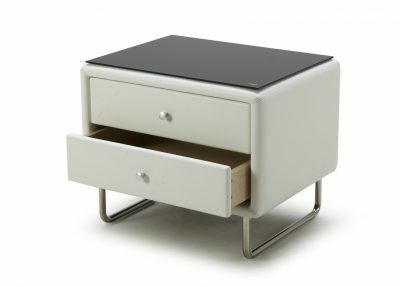 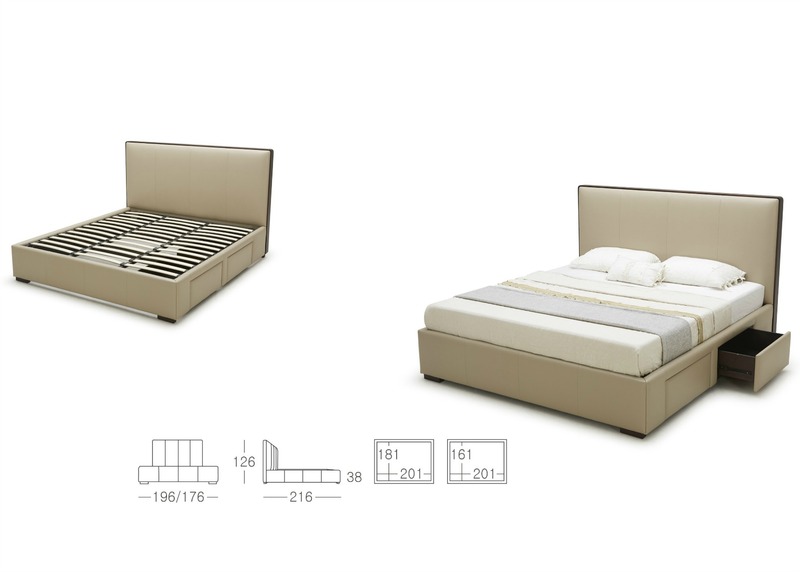 The base of the bed is composed of strong metal frame with curved wooden slats for sleeping comfort and comes with easy to pull out drawers for storage.